We offer top of the line race tracks, arcade games, photo booths, and more! Save 15% or more when you reserve one of our customizable party packages. Our attractions can be branded with your company logo for maximum exposure. 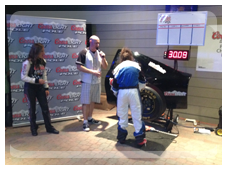 Specializing in Racing Simulators, Interactive Games, Photo Booths, and More! Since 1995, ThunderDome Racing Entertainment & Attractions has been your source for exciting amusement rentals. Based near Charlotte, North Carolina, ThunderDome serves the entire United States and is an excellent option for hospitality tents, conventions, corporate events, company picnics and trade shows. From video game and arcade game rentals to our awesome racing games and simulators, ThunderDome will work with you or your meeting planner to make your next party a huge success. 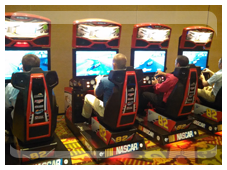 Try Micro Reality Stock Car Racing or our 4 or 8-person linked Daytona USA Racing Simulators to add a decided NASCAR feeling to your party. 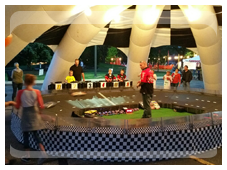 Our Remote Control Racetracks are always a huge hit. ThunderDome is far more than just racing entertainment! 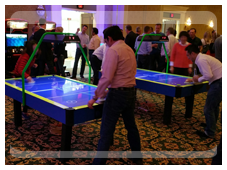 Let us add a sports bar appeal to your event with everything from pool tables, foosball, and air hockey to electronic darts, ping pong and our 100-CD jukebox. ThunderDome is also a great source for golf amusements & simulators. 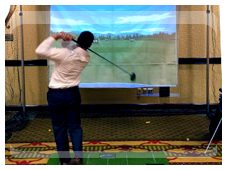 We offer everything from putting, chipping and driving games all the way up to a complete 18 - hole golf simulator. Throw in the ultra popular Golden Tee or PGA Tour Arcade Game and we have everything it takes to get your party on the links without even needing a cart! We have also worked with countless well-known clients providing high-quality entertainment for corporate and group events nationwide! Contact us today to find out more about pricing and the various games and entertainment rentals offered by ThunderDome Racing Entertainment & Attractions.